Right off the back of the recent “Shadow” drop, the Jordan 1 train shows no sign of slowing down. Check out the drops expected below and let us know your favourite pair. 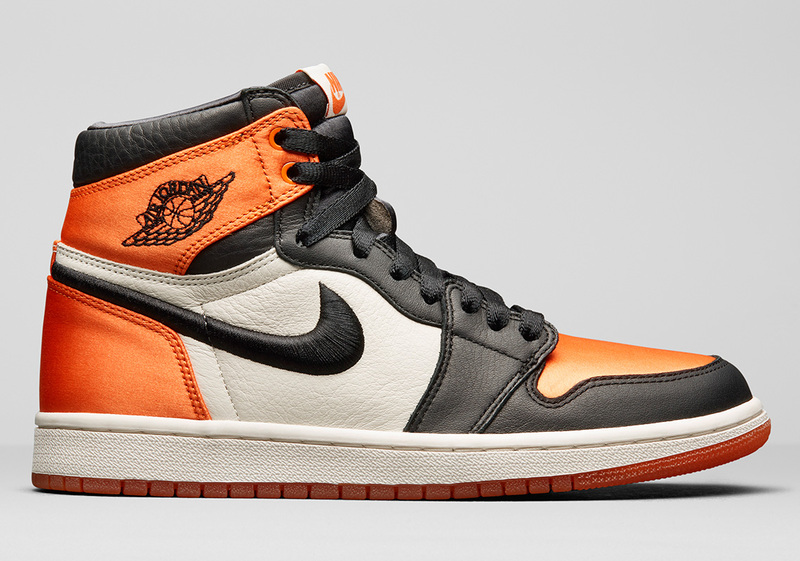 The satin iteration of the Jordan 1, seen previously on colourways such as the “Breds” and “Royals”, makes a return on the much favoured Shattered Backboard. The pair is revived with a glossy satin finish across the toe-box, heel and ankle collar, embroidered swoosh logo and tumbled leather for that high-end finish. The pair drop is scheduled to drop Saturday 5th May. To celebrate MJ’s feats throughout his career, Jordan brands are set to release 4 OG silhouettes in homage to the G.O.A.T. The pairs use the same colour blocking system as the “Black Toe”, however leather heel and swoosh panels have been replaced by suede. The lineup includes the “track red”, “Blue Moon”, “Clay Green” and “Yellow Ochre”. The collection is expected to release Saturday 5th May. Take two iconic colourways (Bred and Chicago), cut them in half and stick them together. Exactly what Jordan brand has done their recent release and opinions have been as split as the trainers. The pair is receiving an exclusive drop (2,300 individuals numbered pairs) 21st April to Chicago retailers only. However, a wider release wasconfirmed by Nike for 19th May with the exclusion of the “From” “For” heel detailing.